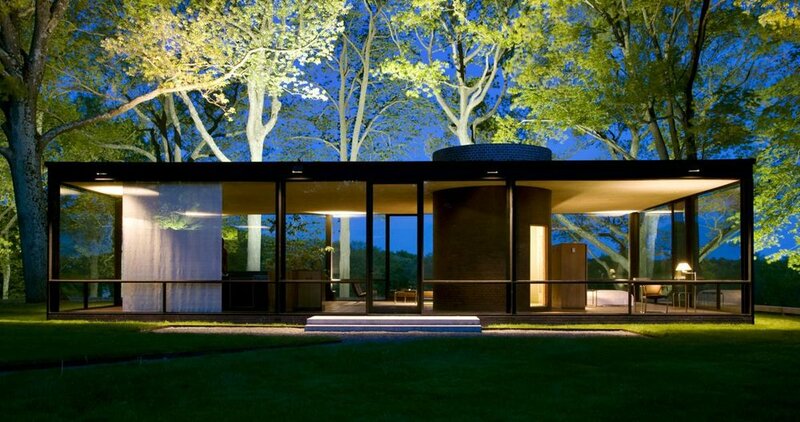 New Canaan was home to some of the most iconic modernist era architects including Philip Johnson, who designed The Glass House. The home is a simple glass box located in the middle of a meadow with a collection of furniture designed by architect Mies van der Rohe. The use of glass walls allowed the landscape to double as “wallpaper” for the home. You can visit and tour the home as well as several other buildings and galleries on the property. The Bauhaus inspired architecture came to America after the founder Walter Gropius fled Nazi Germany and relocated to the states to teach at Harvard. His home in Massachusetts was small but influential in its use of innovative, modern materials. The home focused on simplicity and efficiency in both its layout and its design. Similar to The Glass House, the landscape was an important part of the design as well. Today it is a historic house museum and is open for tours. 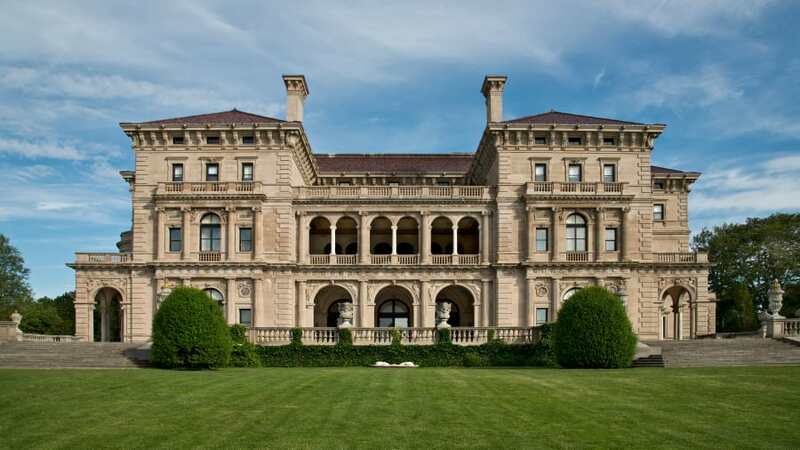 If you haven’t explored at least one of the mansions in Newport yet, make it a priority to go to The Breakers this year. Sharply contrasting the simple and modern houses of Gropius and Johnson, the mansions are grand displays of the wealthiest families in America. The massive halls of the Breakers are decorated in rich golds and reds, with ornament inspired by Italian Renaissance style architecture. This “summer cottage” can be toured year round now, including Christmas time, when they festively decorate the home. Along with New Canaan, Stamford is also home to many bold, modern buildings. The First Presbyterian Church, also known as “The Fish Church” was designed by mid-century architect Wallace Harrison. The use of stained glass creates a sapphire illusion despite the use of heavy concrete structure. The exterior architecture is unique, but the interior is stunning and well worth a visit. The church is still in use today for regular church services but it is open to visitors as well. Though the River Building at Grace Farms is the newest piece of architecture on this list, the winding structure does not disappoint. Inspired by a river flowing down the hillside, the architects and owners of the property collaborated on a design that was one with the landscape while providing a variety of uses to the community. The building is home to a sanctuary, a library, a community space, a pavilion and a multi-purpose court for activities. There are tours offered of the building, or you can just wander the grounds yourself and utilize the building as intended. Kristin is a designer in the Simsbury office and runs a personal travel blog, which you can read here.